The perfect companion to our Rack and Pinion Drive System, these clamps ride in the t-slot of imperial 15 series or metric 40 mm series extrusion and allow you to clamp your rack in place, no machining required! We recommend clamping the rack every 16" to 20" and at either end of your rack. 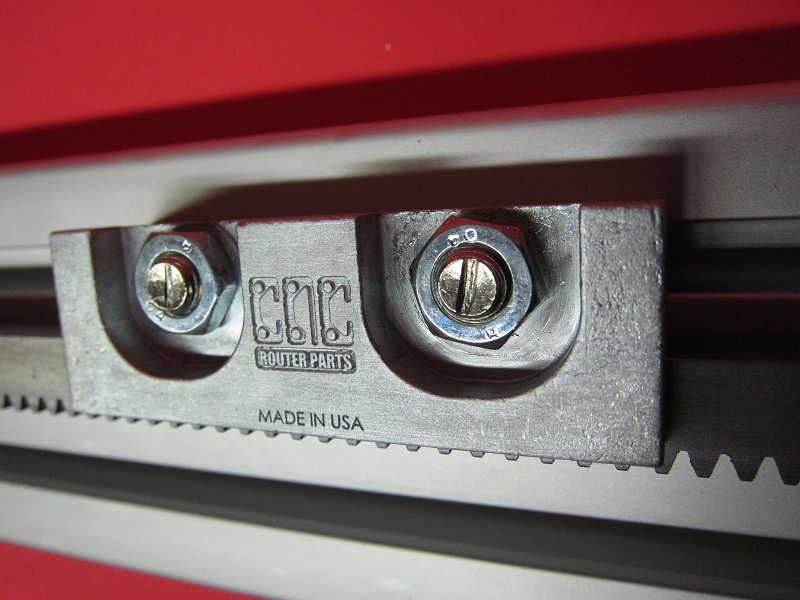 Our latest clamps feature optional locator pins that slide in the t-slot, making setup and alignment of the rack a snap. These components are also very helpful for accurately joining two pieces of rack together for longer travels. In this case, you will need to insure the rack ends continue the rack pitch smoothly. This is best accomplished with a metal file and another piece of rack meshed with the adjoining pieces to set the pitch. 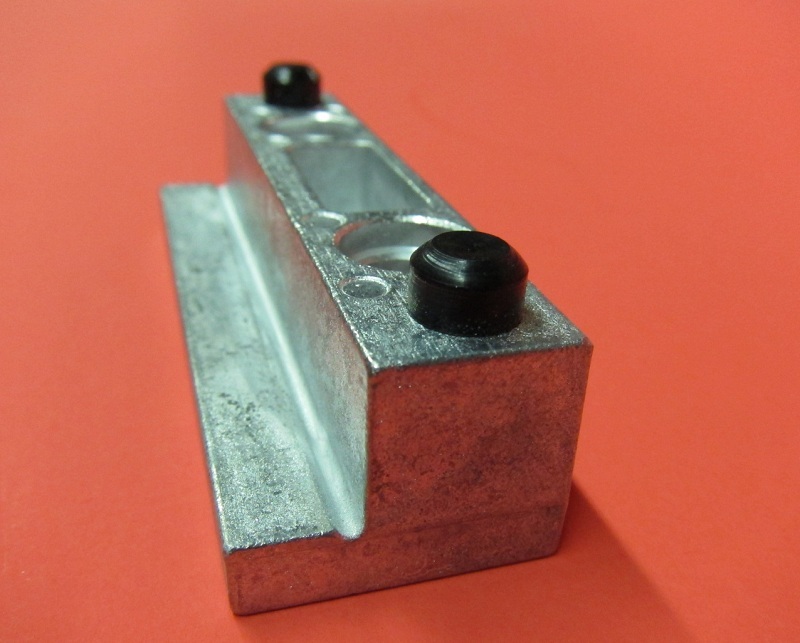 Each rack clamp now comes with our drop-in t-stud hardware to make a strong, easy to install connection to the extrusion. Mounting your rack to something other than extrusion, such as tube steel or wood? Just select the option below to leave out the locator pins and t-studs. This product was added to our catalog on October 11, 2009.